Don’t let the lack-lustre name fool you, this is one of the best Docs you’ll ever read. The best Will Murray I’ve read for sure. It’s short and fast like a good Doc should be yet tells the “big story” that only Doc can tell. The pacing drags slightly in spots but the story and the interplay between Doc and the Fab Five more than makes up for it. The Doc/Monk scene towards the end alone is more than worth the price of admission. Doc in love? Believe it! A great great Doc!! This is dark stuff. I don’t think there has been any adventure where Doc has gone through the emotional turmoil he does here. Throw in an interesting mystery and the return of a foe believed to be dead and Will Murray delivers his finest Doc. 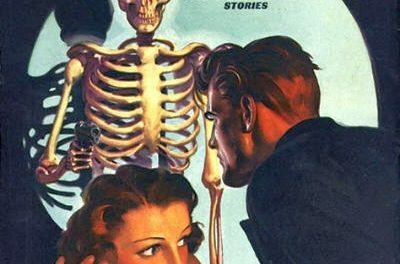 If Murray wrote this even remotely like Dent would have done, then I am sorry that the original pulps ended in 1949. I think the Doc’s of 1947 through 1949 showed a creative rebirth after the mediocrity of ’45-46. This novel is well worth your time. This is the best of the Will Murray Docs. 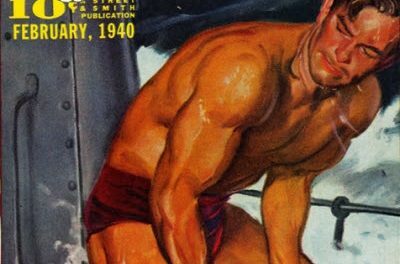 The writing is engaging (though not as crisp or as colorful as Lester Dent’s writing), the story is gripping and Murray managed to focus on the Doc Savage we all know and love. Very readable. Recommended. I have to agree with all of you guys… this is great stuff! The first Will Murray I read – and it prompted me to seek out his others ( which I eventually found, with the exception of Flight Into Fear, but here’s hoping…). As a pastiche of later Doc, it was marvellous, and the return of the main villain from an earlier story extremely well-handled. Probably my favourite Murray Doc. 5 stars. A great, and ultimately flawed Doc Story. 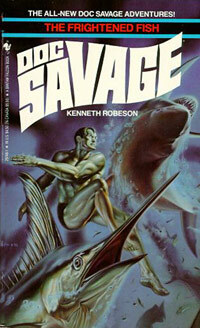 The novel is very good — except for where I take issue with THE FRIGHTENED FISH. 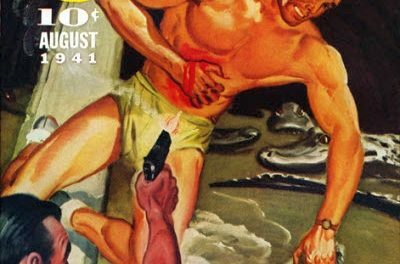 In this novel, Will Murray changes one of the basic fundamental cornerstones of the character of Doc Savage — that he never intentionally takes a human life. Sure Doc changed over the years, but I found this character change to be completely out-of-character. 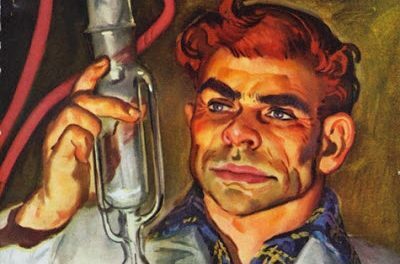 THE RED SPIDER is set roughly in the same period and is far superior — without the character change. THE FRIGHTENED FISH was written by Will Murray from brief notes found in Lester Dent’s papers. I could be mistaken, but I would bet good money that Lester Dent DID NOT have anything in his notes about Doc taking a life.